Whether you’re considering a completely new bathroom installation, or just want to add a few touches to your bathroom renovation, the design is key. It’s essential to choose a bathroom design that fits harmoniously in your home. 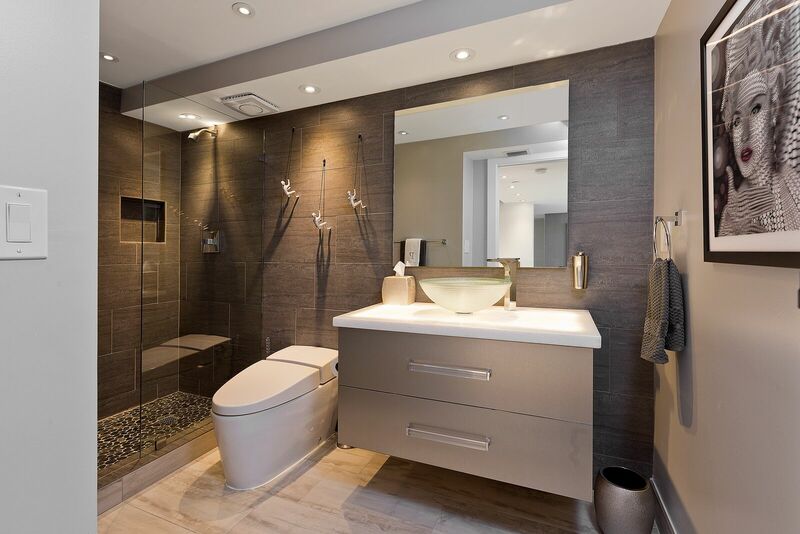 Here are three reasons why bathroom design is so important. Without going into too much detail, let’s just say that we all spend time in the bathroom each day! And because it’s a space you visit often, it should be a pleasant space. Once you have your design installed, you’ll be amazed how the right setting can make your day more enjoyable. Imagine the difference between coming home and finding a cramped, dark space; or arriving to discover an airy, light-filled room that expresses your personal style. Doesn’t everyone love a hot bath? The bathroom is where we prepare to face the day and look our best. After a long day of work, we return home ready to relax with a hot bath or perhaps pamper ourselves with some beauty treatments. That relaxing effect only increases when you can enjoy your bath in luxurious, elegant surroundings. A good bathroom design can last for years. And even if materials wear out, a well-chosen design never gets old. That’s why a custom bathroom design is an investment for any homeowner. Whether you hope to sell one day, or plan to live there for generations to come, the right design will increase the value of your home. At DKB Cabinetry, we help you to find the kitchen and bathroom designs you’ve dreamed of. Our expert designers and installers will be with you every step of the way, from sketching plans to fitting custom cabinets. Get in touch today, or come and visit us at our showroom in Boca Raton.